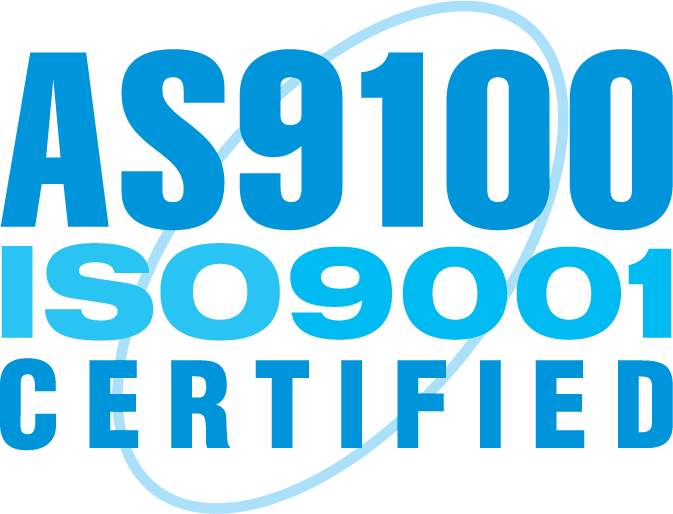 Metal Stamping Certifications | Boker's, Inc.
Boker's is a woman owned business which maintains a Quality Management System (QMS) certified to AS9100/ISO 9001. The following are commonly requested certificates which are available for immediate download. Additional certifications and documentation are available upon request for your specific stamping or washer order as noted below. 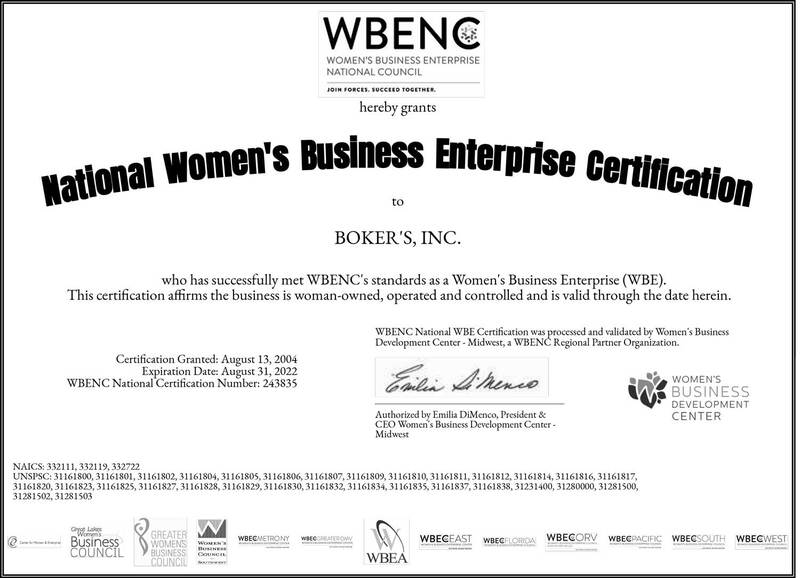 Boker’s, Inc. is committed to responsible business practices that reflects our dedication to our employees, customers and world. 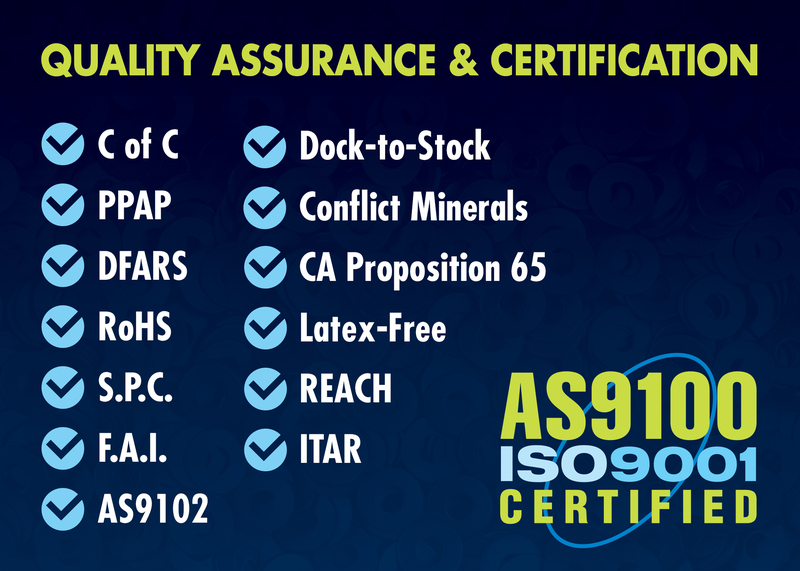 Boker's takes their manufacturing practices very seriously and maintains an AS9100 and ISO 9001 certified status which provides confidence to our customers that their parts will meet specifications. Altervative or additional documentation or certification can be provided upon request.